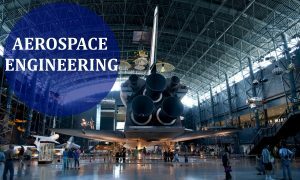 This website is made by Dr Ugur Guven and it entails fundamental Aerospace Engineering Lectures such as Aerodynamics, Aeronautics, Introduction to Flight, and Space Lectures such as Introduction to Space Sciences, Earth-Space Boundary, Solar System, Interstellar Space, Basics of Astronomy along with Astronautics Lectures such as Introduction to Rocket Propulsion, Introduction to Astronautics and Introduction to Orbital Mechanics. Click on the appropriate link in the menu above for the relevant Aerospace Courses Lectures. This website is intended for aerospace and astronautics students at undergraduate and postgraduate level. You can also participate in the latest discussions about Aerospace Engineering in the Forums Section and you can also read about latest Aerospace Engineering News in our Blog section at Aerospace News. We will also try to put some links for Aerospace jobs online for fresh graduates and there will be announcements for internship opportunities as well. You can also see information about the upcoming aerospace conferences in the conferences sections.